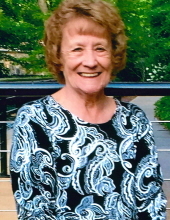 Mrs. Catherine Eller Anderson, age 78 of Wilkesboro, passed away Sunday, March 24, 2019. Funeral services will be held 2:00 PM Saturday, March 30, 2019, at Reins Sturdivant Chapel. Burial will be in Mt. Lawn Memorial Park. The family will receive friends from 12:45 until 1:45 prior to the service at Reins Sturdivant Funeral Home. Mrs. Anderson was born July 14, 1940 in Wilkes County to Albert Vestal Eller and Agnes Vivian Misenheimer Eller. She was retired from Khols. Mrs. Anderson was a member of Walnut Grove Baptist Church. In addition to her parents, she was preceded in death by her husband; Robert Lee Anderson and a brother; Phillip Eller. She is survived by a daughter; Cathy “Chris” Walker and husband Junior of Moravian Falls, a granddaughter; Cayla “Shea” Eller and a special family member Jay Limani of Atlanta, GA and a brother; Kenneth Eller and “Nancy’ of North Wilkesboro. Flowers will be accepted or memorials may be made to Wake Forest Care at Home Hospice 126 Executive Drive Suite 110 Wilkesboro, NC 28697. To send flowers or a remembrance gift to the family of Catherine Eller Anderson, please visit our Tribute Store. "Email Address" would like to share the life celebration of Catherine Eller Anderson. Click on the "link" to go to share a favorite memory or leave a condolence message for the family.